We had a great week at school this week! In humanities, students worked together to finish their beautiful poster projects and in science, students were so excited by their experiment about friction that they were inspired to design their own, new experiment to learn more. 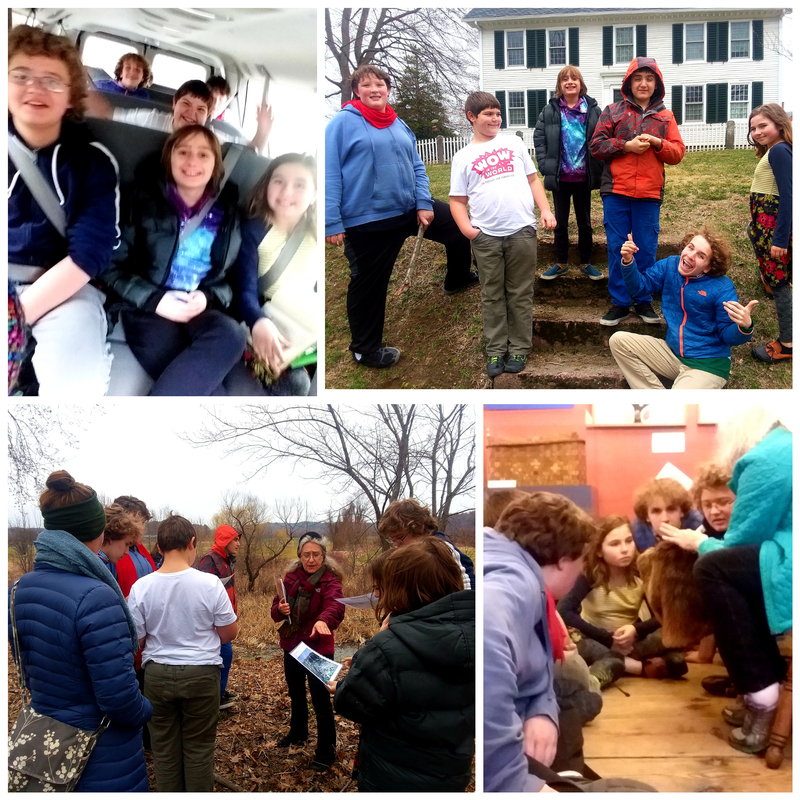 The open house on Thursday was well attended and a lot of fun, and we learned a lot on Friday’s field trip to do a program with the Pockumtuck Valley Memorial Association at Historic Deerfield! Here are a couple of things that have crossed our path as options to keep kids busy during April Vacation: Amherst Splash, a one day event on Saturday, April 20th at Amherst College, and Whole Children‘s April break camp which takes place all next week, April 15th – 19th. Did you know there are two ways to donate money to Four Winds without personally spending a single cent!? They’re easy, painless, and like I said, free! The first is to set us up as your non-profit when you shop with AmazonSmile. That’s right: every time you shop at smile.amazon.com from the comfort of your own home, Amazon will donate a small percentage of your purchase to Four Winds School! Even if that’s just a few cents here an there from everyone who uses it, it adds up! We usually get around $50 dollars donated to us every disbursement period – without anyone actually donating us a single dollar! Wow! The second way is to donate your Facebook birthday fundraiser to Four Winds School. Facebook will set up a fundraiser that runs for two weeks, and anyone on Facebook can see and donate to it. I was able to raise $700 this way for my birthday in February! In fact, one of our parents has one running right now: thanks, and Happy Birthday! Unfortunately Facebook seems to keep a small cut, but again it’s still better than nothing and doesn’t cost you anything!